Tell Me About Heaven, the last of my books that will come out this year, is just off the press. I first held it in my hands last week. This time it’s our grandson Jake who gets his name in the book. He plays the part of a….drum roll…grandson. 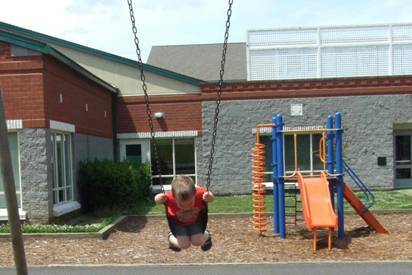 Here we are at the school yard where I got Jake really going before running around front to take the pictures. I do manage to mention our other grandchildren in there too, including Jack, our fourth grandson, now safely residing in our daughter Karina, and expected to be wearing a Dodgers hat at the end of August. 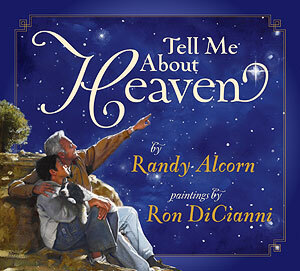 A grandfather, a grandson, and the two of them talking about Heaven are what Tell Me About Heaven has in common with my other children’s book, Wait Until Then [now out of print]. But the books are actually very different in setting, plot, illustrations, and length. 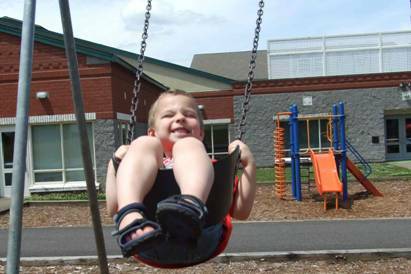 I could have changed the relationship to father and daughter or uncle and nephew or mother and child, but I’m a grandpa of grandsons, and that seemed the natural way to tell both stories. When you read them, there’s no confusing the books. Tell Me About Heaven is close to 16,000 words, short by book standards, but still seven times longer than Wait Until Then. (To give you a comparison, my little book The Grace and Truth Paradox is 18,000 words.) So while you can easily read Wait Until Then in a single sitting (that’s how it’s meant to be read), you’ll probably want to read Tell Me About Heaven one chapter at a time. If you read it to your children or grandchildren, you can discuss the subjects raised after finishing each of the nine chapters. 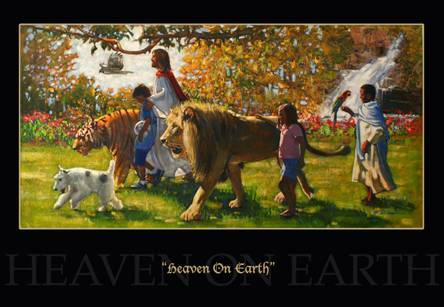 I think most children will be very interested in these warm dialogues about Heaven. Tell Me About Heaven is readable by many eight year olds, I’d say, but it’s designed to be enjoyed by the whole family. I hope families will read it together. It contains eleven fantastic paintings by my friend, artist Ron DiCianni, eight of them brand new, created specifically for this book. When this blog is posted, I should be in Atlanta at ICRS, the annual Christian booksellers’ convention, where I’ll be doing a book signing with Ron. That should be a blast. He’s a lot of fun, and we really enjoy giving each other a hard time, as good brothers do. Our ministry just received a big shipment of books. 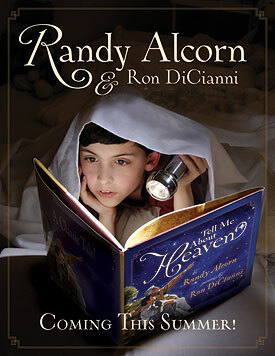 So you can order Tell Me About Heaven from our website, www.epm.org, and other places online, and most bookstores. Though my books are carried in Borders and Barnes and Noble and other stores, I’m a big supporter of Christian bookstores. As a clarification, our ministry sells books online (we try to match Amazon prices) because we know some people simply will NOT go to a physical bookstore to buy books. So if they’re going to order online anyway, then we’re glad to have them order from us, which helps support our ministry. But I still encourage you to visit Christian bookstores if you’re able to. One day I’m going to blog about the critical role a Christian bookstore played in my life as a young believer in the early seventies. There is no substitute for being in a store with carefully chosen Christ-honoring books, browsing and talking with the staff. Prior to the booksellers’ convention, I will have attended a Christian novelists’ retreat with sixty other writers, including many of your favorite authors, if you read Christian fiction. We are good friends who enjoy a special camaraderie, and seek to honor Christ, encourage one another and raise the bar for each other in our craft and in our walks with God. I’ve been attending the convention since 1985. This year there’s a full schedule with lots of interviews, book signings, dinners, a signing of the audio version of Deception, and Heaven for Kids, which is one of five finalists for the Evangelical Christian Publisher’s book of the year, in the children’s and youth category. I don’t expect it to win, but I’m honored to be included. Maybe I’ll come back with a few pictures and stories. Walk with Jesus. May He be pleased, as we abide in Him.